Philip Jackman’s group of Royal Engineers arrived in Esquimalt on April 12, 1859. He was amongst a group of twenty men sent directly to Sapperton, a site one mile outside of New Westminster where the Sappers established their barracks and camp, cleared trees and constructed a wharf. The rest of the Royal Engineers boarded the Eliza Anderson steamboat and went to Derby. 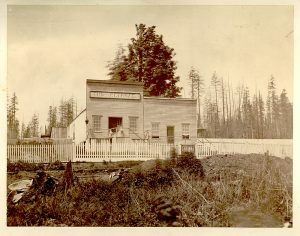 Governor Douglas had originally chosen Derby, the site of the first Fort Langley, to be the capital of the new colony. 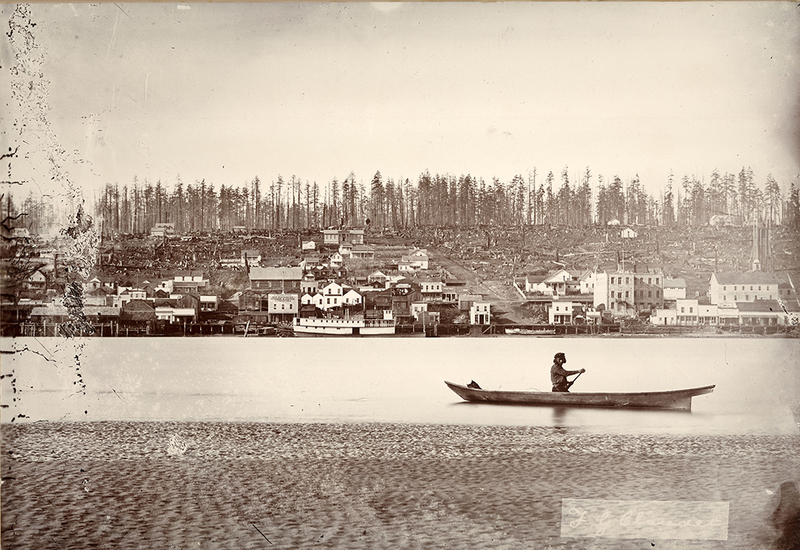 Colonel Moody disagreed and chose a new location on the north bank of the Fraser River at the junction of the Pitt, Coquitlam, and Fraser Rivers that Queen Victoria named New Westminster in 1859. 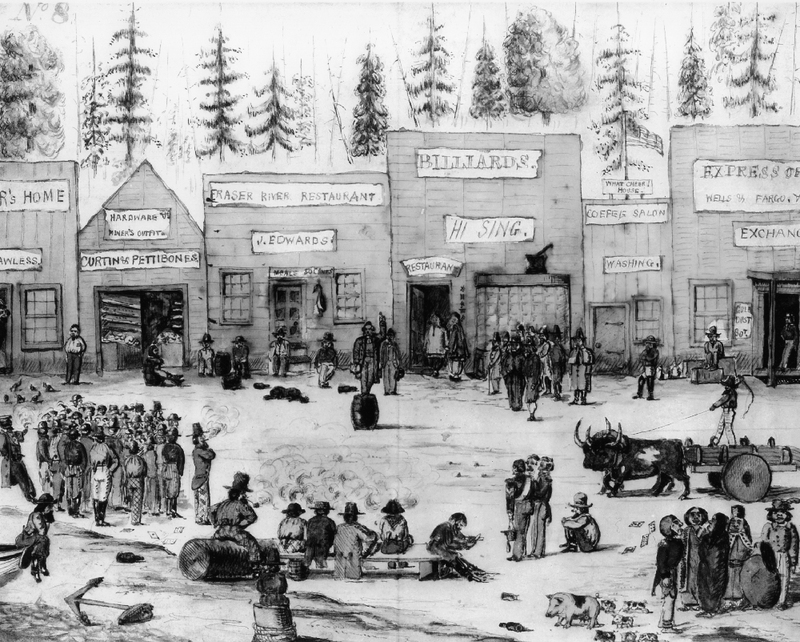 Soon Sapperton had a saloon, butcher’s shop, grocery, and bakery. The summer of 1859 saw the building of other essentials including storehouses, a courthouse, jail, customs house, offices of the Lands and Works, a treasurer’s office, and Government House. In June 1859, the married couples’ quarters were finished and those stationed in Fort Langley moved to Sapperton. Dr. John Vernon Seddall, assistant staff surgeon for the detachment, described the New Westminster hospital in 1859 as consisting of three tents. A permanent hospital with sixteen beds, a surgery room, and a hospital sergeant’s room was constructed in the fall. The first Royal Columbian Hospital was built in 1862 on the corner of Clement (now 4th Street) and Agnes Street. Dr. Seddall returned to England when the Detachment disbanded but donated his medical equipment to this new hospital.